The Minister of Foreign Affairs Hon. 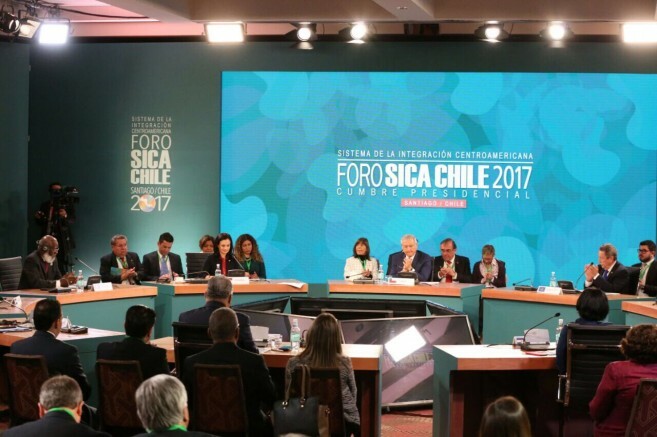 Wilfred P. Elrington participated in the First Central American Integration System (SICA)-Chile Political Dialogue and Cooperation Forum in Santiago, Chile on October 12, 2017. The Parties discussed key areas including the Agenda 2030 for Sustainable Development and the importance of the provision of adequate means of implementation of the Sustainable Development Goals (SDGs), institutional strengthening, climate change, natural disasters, conservation and sustainable use of the oceans and its resources, and the environment. Belize underscored the limitation in dealing with disasters and recognized the need for the collective effort in the identification and implementation of plans and strategies aimed at disaster relief and cover policies inclusive of a dedicated source of funding, especially for the poor and highly indebted sister countries in the region. Belize further expressed its commitment to working with the SICA Member States and the Republic of Chile to meet these challenges. 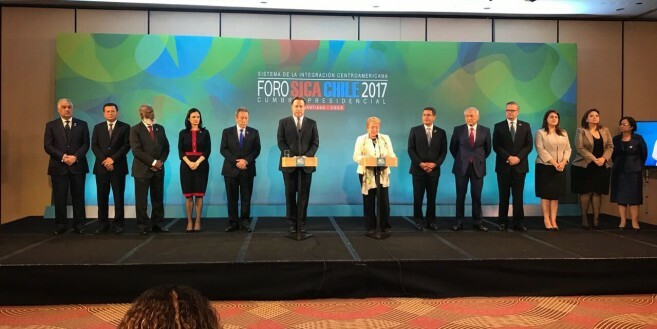 The Council of Ministers of Foreign Affairs of SICA and Chile adopted a Joint Communiqué in which the Parties agreed to move forward with a regional cooperation programme aligned with the five pillars for development of SICA and the strategic areas of Chile´s cooperation programme. Belize took the opportunity to thank the Republic of Chile for its intent in continuing to partner with the countries in both the Central American and Caribbean sub-regions in efforts to enhance citizen security and development. Minister Elrington was accompanied by His Excellency Pat Andrews, Chief Executive Officer in the Ministry of Foreign Affairs, and Mrs. Amaris Leal, Foreign Service Officer.